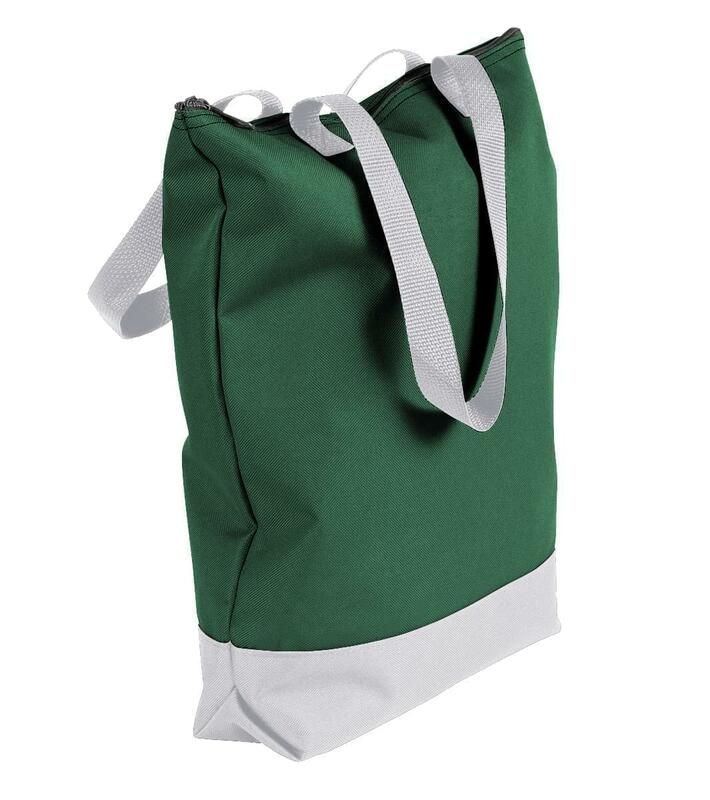 Simple Ziptop Tote with Water Repellent Reinforcement for Commuters. Hunter 600 Denier Coated Polyester Duck Fabric. Reinforced Bottom Maches Handle Fabric - Tucked T Bottom.